Ryan Cresswell and Sean Clohessy were selected for the PFA League Two team of the year last night. Here is a timely reminder of those Shrimpers who have won the clubs’ Player of the Year award and also been honoured by their fellow professionals. Five defenders have won the last five awards. The breakdown by position is: Defenders (19), Midfielders (14), Forwards (11), Keepers (5). Ronnie Pountney (3), Billy Best (2) and Kevin Maher (2) are the only players to win the award more than once. The PFA Awards were first awarded at the end of the 1973/4 season. Here are the Southend United players that were selected for their respective divisional teams. Sean Clohessy and Ryan Cresswell join only Andy Ford (1976/7) and Richard Cadette (1985/6) to be nominated from a non-promotion winning side. 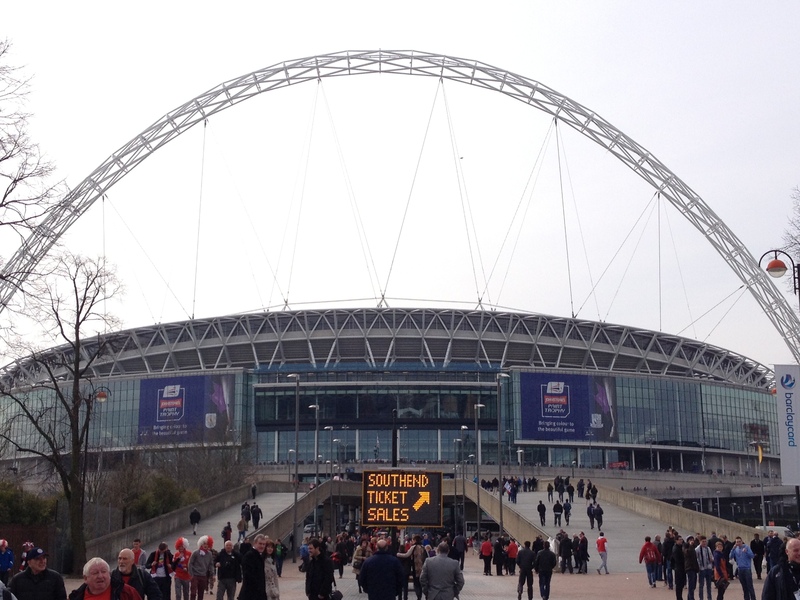 Southend United playing in a cup final at the iconic home of football always seemed destined to elude the faithful bunch of supporters that have followed the Shrimpers through some very hard times. Even near misses have been somewhat reluctant to head our way since the F.A. introduced an ever changing plethora of minor competitions designed to give its “associate” members a chance to shine, albeit for just one day. 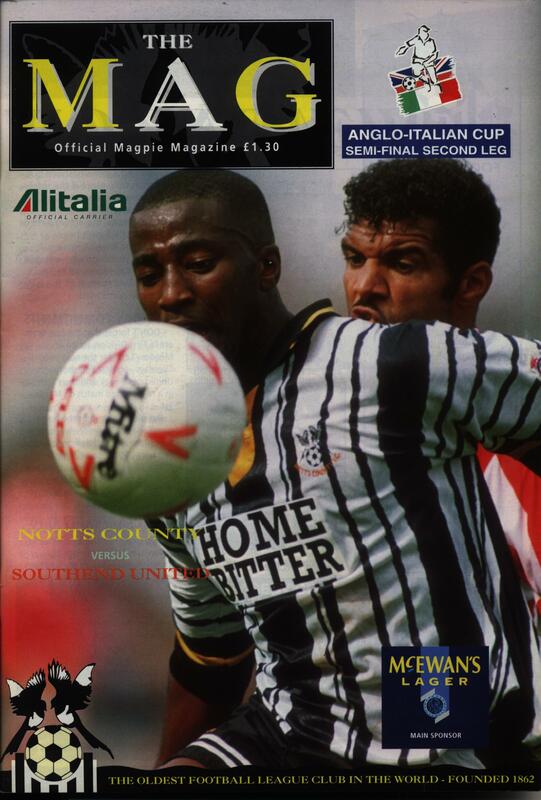 A penalty shoot out loss to Notts County in the erstwhile Anglo-Italian Cup in 1993/94 and an LDV area final loss to Brentford in 2000/01 saw the Shrimpers looking on like a kid locked out of a toy shop at Christmas. 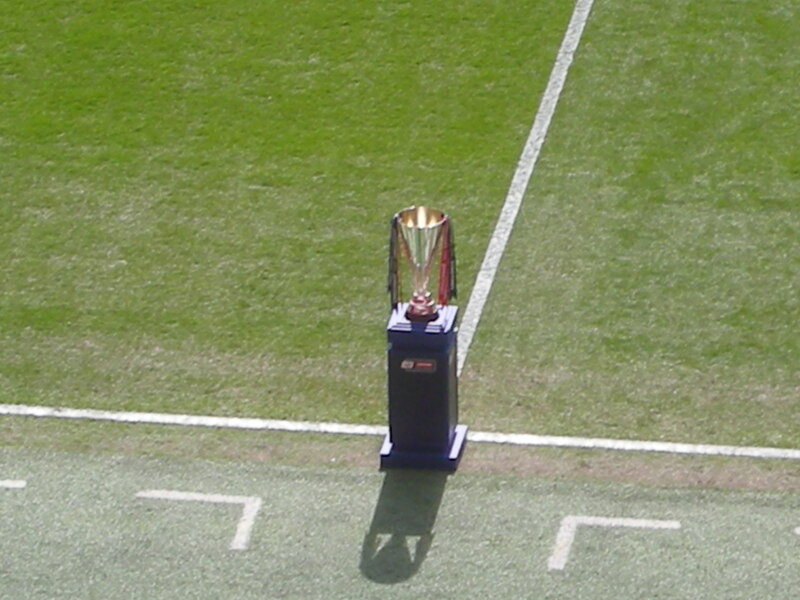 Even a spell of sustained success under former player Steve Tilson which saw the club reach two LDV Finals and a League Two play-off Final in an exciting 14 month period saw each occasion savoured, but inevitably diluted by the fact each was held 200 miles away in the Millennium Stadium, Cardiff. 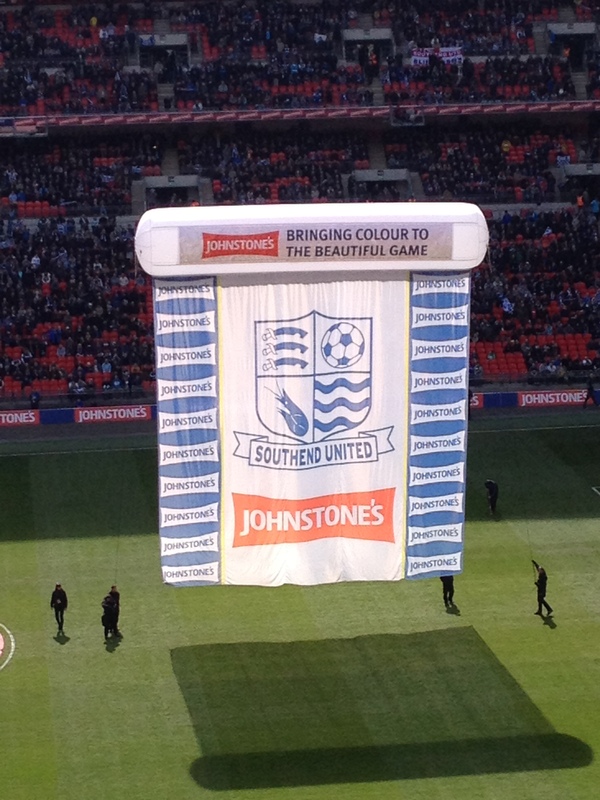 So would Southend ever get to enjoy a day in the sun at Wembley Stadium? It was looking as far away as ever as the club slipped from one financial crisis to another, transfer embargos, players not getting paid, winding up orders and the very real spectre of administration have dogged recent campaigns. Step forward Paul Sturrock, softly spoken genial Scotsman and the latest man charged with moulding a rag-tag bunch of footballing journeymen and hopeful youngsters into something resembling a football team. The season was unfolding into another campaign of abject disappointment with woeful home form dogging the team from the opening day. 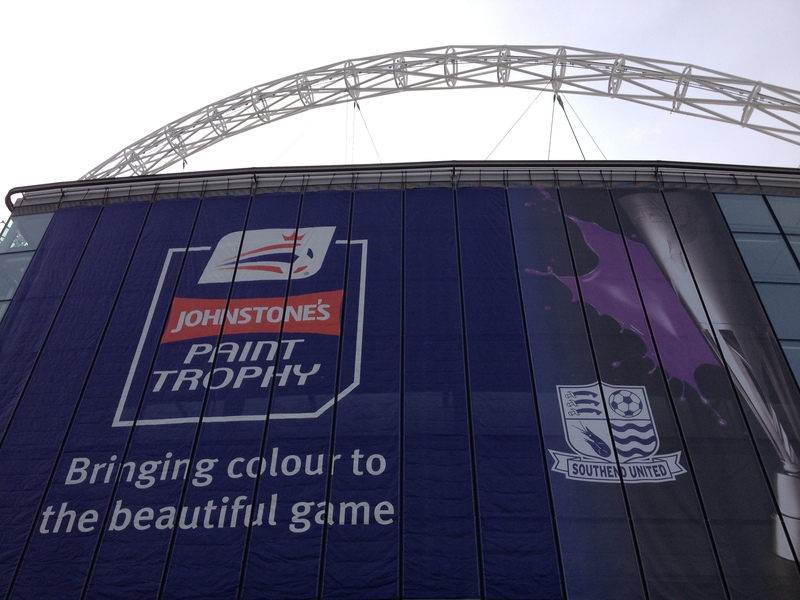 However, the Johnstone’s Paint Trophy was proving a welcome distraction. 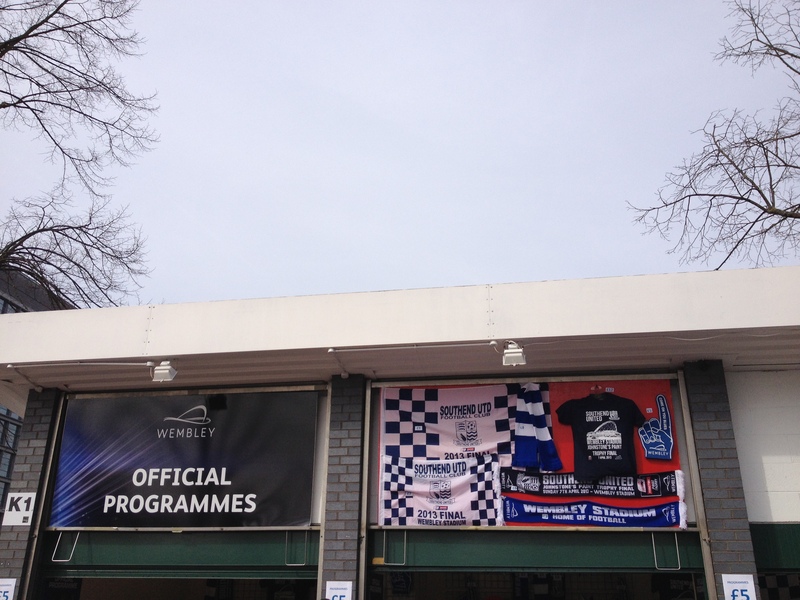 The early rounds saw AFC Wimbledon, Dagenham and Redbridge and even League One promotion chasers Brentford were comfortably dispatched at Roots Hall. 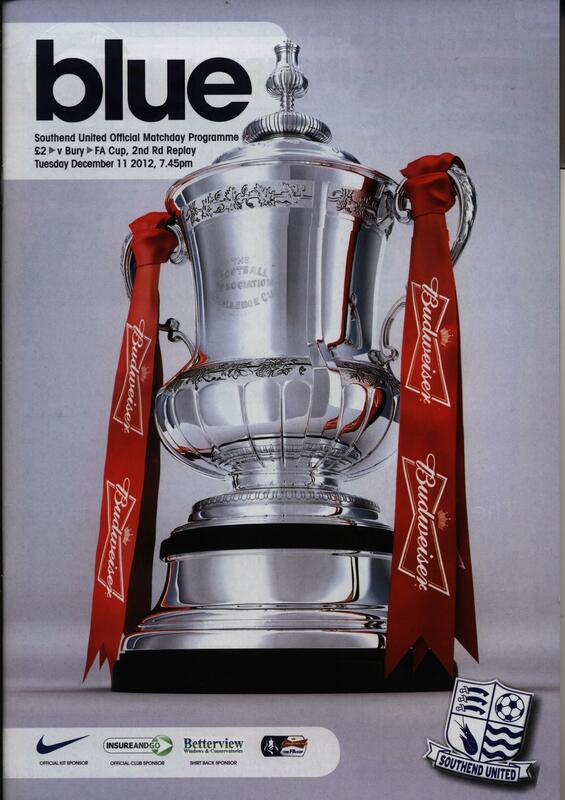 We were then handed an away tie in the semi-final against Oxford United. A 3-3 draw saw the tie go to a penalty shoot out. Sturrock pulled out his trump card a substituted experienced goalkeeper Paul Smith for youngster Daniel Bentley, a stunt that had come off against Bury in the FA Cup a month previously. Again the rookie made the vital save to see the Blues through to the Area Final. Old adversaries Leyton Orient, of League One, stood in the way of a grand day out for the club and some welcome revenue for the scarily empty club coffers. 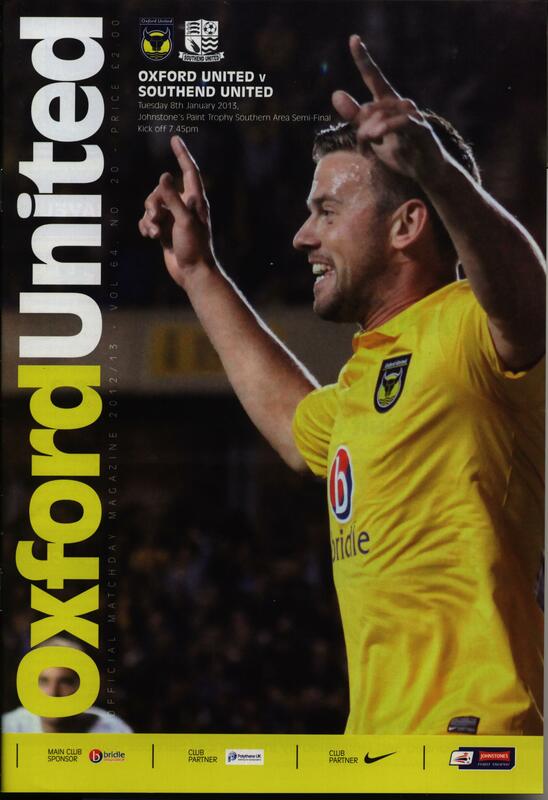 On a muddy pitch at Brisbane Road, an opportunist goal from Ryan Leonard gave us a slender lead for the home leg. A tense battle looked heading towards the East Londoners when Ben Reeves, a youngster on loan from Southampton, scuffed the ball into the net as injury time commenced. 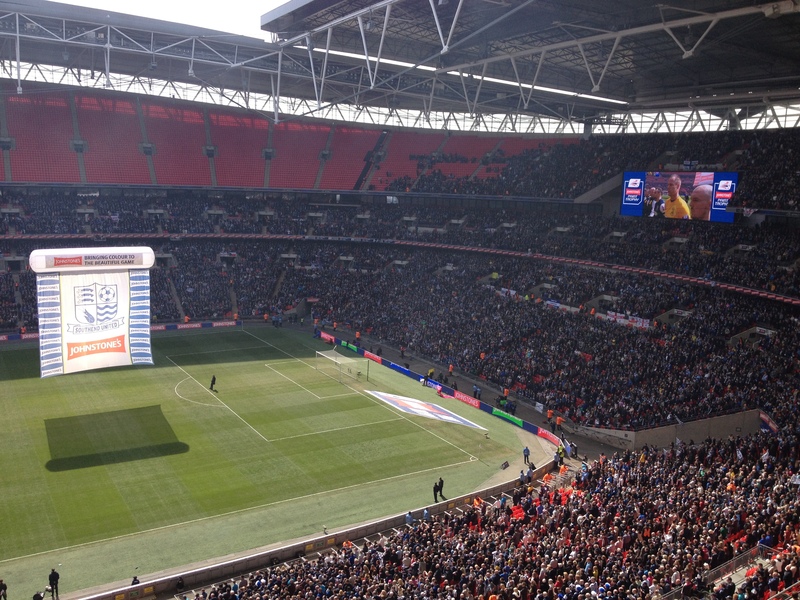 Dramatically and unbelievably the die had been cast and our day had come, Wembley beckoned. Estimating how many tickets a club averaging gates under 5,000 for the season would or could sell were reduced to plucking numbers from the air. When the first day of sale came though, people came in their droves. Queues redolent of communist era shortages at Moscow’s GUMM stores snaked around the car park and lasted all day. And the day after, and the day after that. It was clear Southend was gearing up for its biggest day out ever. 16,000 were sold before they went on general sale and ended up exceeding the 31,033 tickets sold for the club’s largest ever attendance against then European Champions Liverpool some 34 years previously. In the run up to the Final, Sturrock had the rug pulled from under him, divested of his opportunity to walk out with his team at Wembley. Dismissed and replaced by Phil Brown, the gentlemanly Scot magnanimously turning down the chairman’s limp olive branch offer of a pseudo mascot role at Wembley. So the big day finally arrived, coaches, trains and cars headed to North London outnumbering the opposition supporters by more than three to one. Crewe would be stern opposition, they, after all, ended our play-off hopes in clinical fashion the previous season and were acquitting themselves pretty well in the third tier. 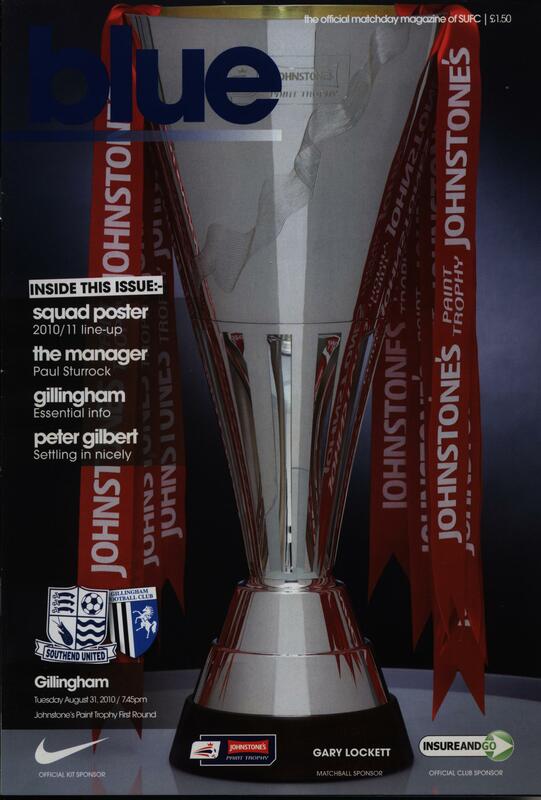 Team selection was a hot topic, errant tour-de-force Bilel Mohsni was placed in an unfamiliar centre midfield role. Injured skipper Chris Barker was returned to the side after weeks out. Mark Phillips, battle worn infantryman that had selflessly subjected himself to eight pain killing injections to get us through the Area Final was dumped into a non-laying substitute role. Worse still Ryan Leonard, a hard working unsung hero who had scored the vital Area Final goal, was sat in the stands looking forlornly on. Our recent poor run of form and inevitable nerves manifested as early as the sixth minute. Crewe’s training ground corner was lashed into the net by Luke Murphy and we already had a mountain to climb. Impressive youngster Max Clayton doubled the advantage just after the break and the game was effectively over. A bold double substitution briefly rekindled the dying flame but ultimately it was not to be. In truth Crewe were worthy winners on the day. My memories of the day are numerous and will remain with me always. 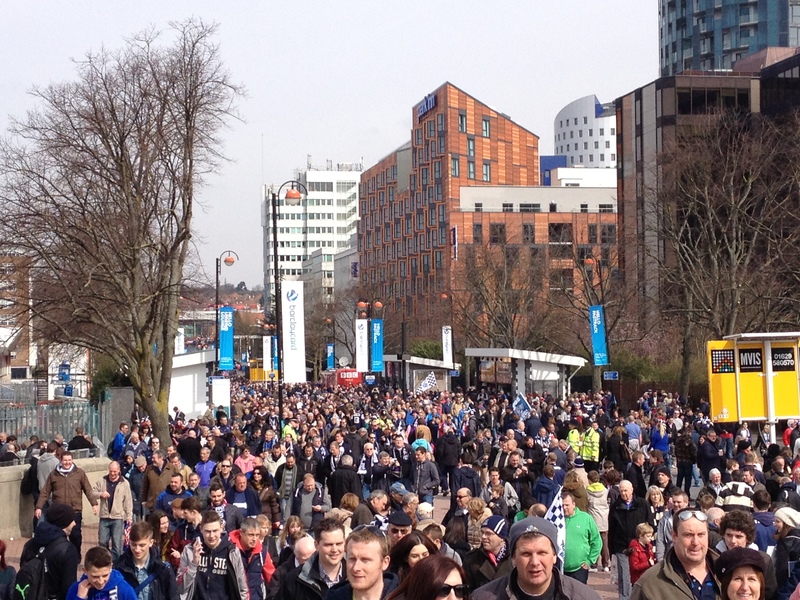 Looking back from Bobby Moore’s statue, himself with Southend connections, and seeing a tidal wave of blue humanity coursing down from WembleyPark station was emotive enough in itself. A cornucopia of former players turning up on their own volition with their own tickets was heart warming. Hearing that long term supporters had taken photos of their fathers in their pockets to share the day with them was somehow emblematic of the extended family that is our core support. Furthermore seeing people I had not seen for years and remembering those that had longed for this day to happen but had passed away before a dream had become real were part of a truly memorable occasion. No trophy but plentiful memories that will abide with me. 1. Steve Phillips; 2.Matt Tootle; 3.Harry Davis; 5.Mark Ellis; 14.Kelvin Mellor; 8. Luke Murphy ©; 19. Abdul Osman; 26. Chuks Aneke; 31. Bradden Inman; 7.Max Clayton; 11.Byron Moore. Subs: 10. A.J. Leitch-Smith (for 7, 83 mins); 12. Oliver Turton; 13. Alan Martin 17. George Ray (for 26, 90 mins); 27. Ryan Colclough (for 31, 69 mins). 1. Paul Smith; 2.Sean Clohessy; 23. Chris Barker; 6. Ryan Cresswell; 16. Luke Prosser; 14. Kevan Hurst; 28. Bilel Mohsni; 29. Tamika Mkandawire; 3. 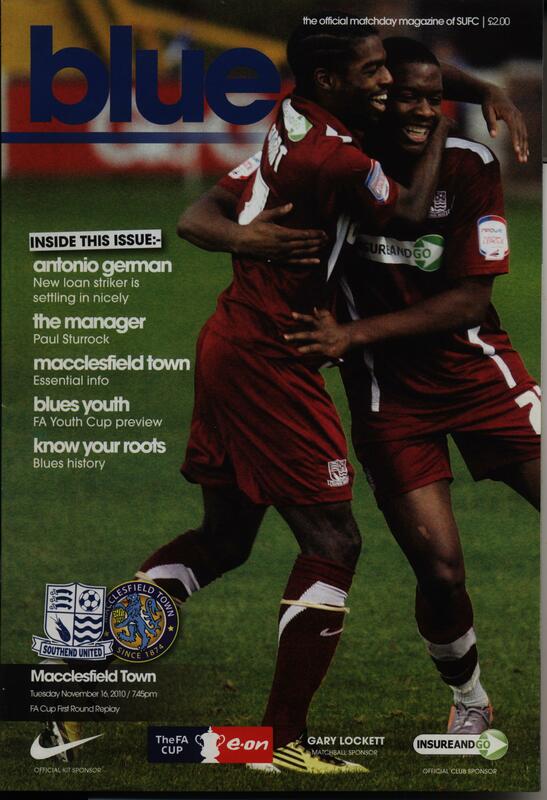 Anthony Straker; 20. Britt Assombalonga; 21. Gavin Tomlin. Subs: 7. Freddy Eastwood (for 29, 77 mins); 10. Barry Corr (for 23, 57 mins); 15. Mark Phillips; 17. Daniel Bentley; 27. Ben Reeves (for 28, 57 mins). Yellow Cards: Osman, Clayton (Crewe), Barker, Hurst (Southend). 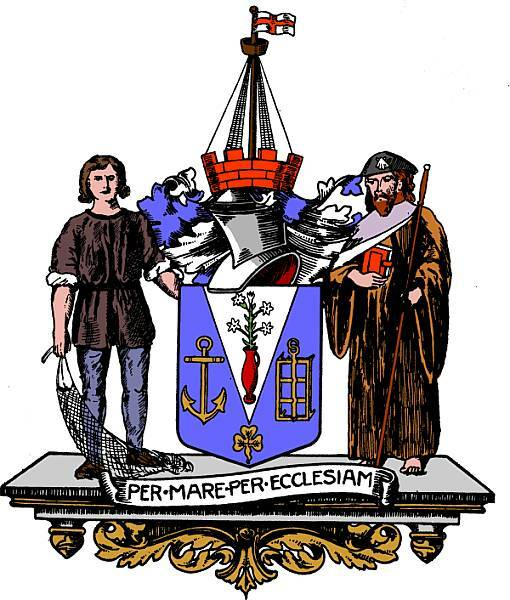 The first badge worn by the football club was the Borough coat of arms. This was used by the club from the 1950’s until replaced by an individual crest of their own. The Coat of arms, first registered in January 1915, is a Blue shield with a silver pile. This is imposed on a gold anchor, a gold grid iron and underneath is a gold trefoil. The blue background is symblomatic of the town’s coastal location. The gold anchor symbolises St.Clement (Leigh Church), the grid iron represents St.Lawrence (Eastwood) and the trefoil the Holy Trinity (Southchurch).Out of the silver pile rises a vase of lilies representing the Virgin Mary and the parish of Prittlewell. The shield is topped by a red mural crown and a ship’s mast flying the flag of St.George. Supporting the crest on either side is a medieval fisherman holding a net and a Cluniac monk holding a red book and a staff. The fisherman representing the traditional town industry and the Cluniac monk emblematic of the Cluniac Priory established within the town’s boundary since 1110 AD. In 1968 the football club adopted its own shield. The design was a traditional shield separated into four quarters with different devices in each corner. In the top left hand corner are the three curved seaxes on a red background representing the County of Essex. The top right hand corner is an old fashioned paneled leather football. The lower left corner is a silhouette of a shrimp, emblematic of the traditional town industry and also the clubs most enduring nickname “The Shrimpers”. The nickname was certainly used in the clubs early years and a regular cartoon in the Southend Standard newspaper featured a bearded character called “Pa Shrimper”. The lower right corner contained three wavy blue lines symbolizing the nearby River Thames and the town’s coastal heritage. During the 1970’s the club adopted a second badge which was a football boot design with the word “United” incorporated in the boot shape. 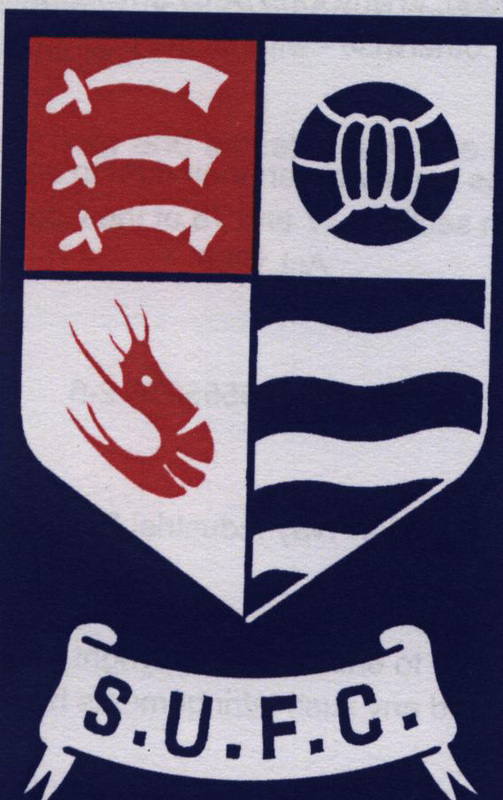 In 1986 the club’s autocratic chairman, Vic Jobson, introduced a new club badge without any consultation with the supporters. He cited copyright problems with the traditional badge but in truth it was symptomatic of his bullish manner which despite on field success would drive an irreparable wedge between Jobson and the supporters. The shield colouration was changed to the “new” club colours of blue and yellow which had been adopted in the 1985-86 season when the club were sponsored by John Laing a building firm in which Jobson had a major interest. The seaxes of Essex and the waves were retained but the football and the identifying symbol of the club, the shrimp, were cast aside. In its place was an anchor for some maritime symbolism. The major bone of contention was the shrimp being replaced by a meaningless lion rampant. No explanation was ever given for the presence of a lion. The badge was replaced by an updated version for the 2000/1 season. The return to a modern incarnation of the original shrimp badge occurred in 2001 following a lengthy campaign by supporters. 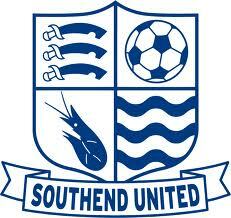 The old version of the badge had already been adopted by the reformed Southend United Supporters Club. 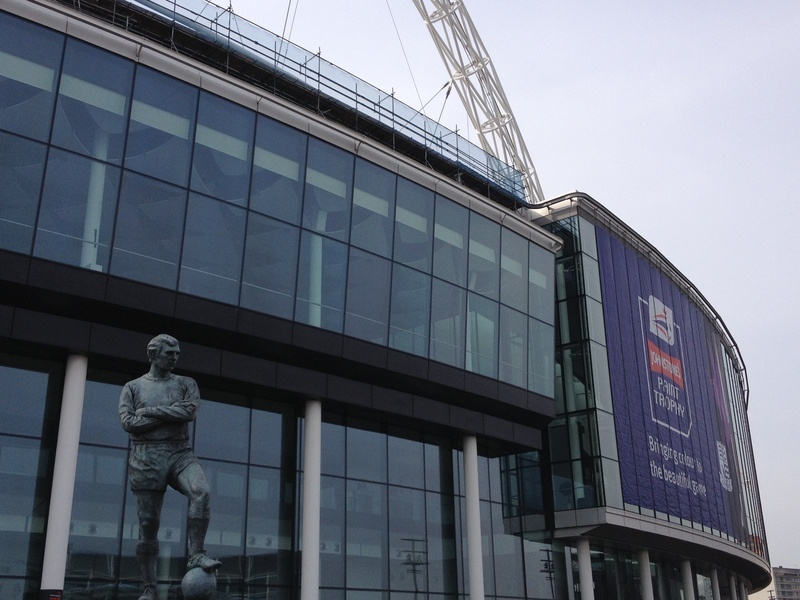 Southend United’s only ever visit to the famous twin towers of Wembley Stadium came in the most unusual of circumstances. Their away fixture at Clapton Orient’s Lea Bridge Road stadium was moved to Wembley Stadium as Orient’s ground had been closed following a bad injury to a Torquay United player resulting from the close proximity of the pitch barrier to the playing surface. While remedial work was carried out the East Londoners were forced to hire the national stadium in order to stage two home games. 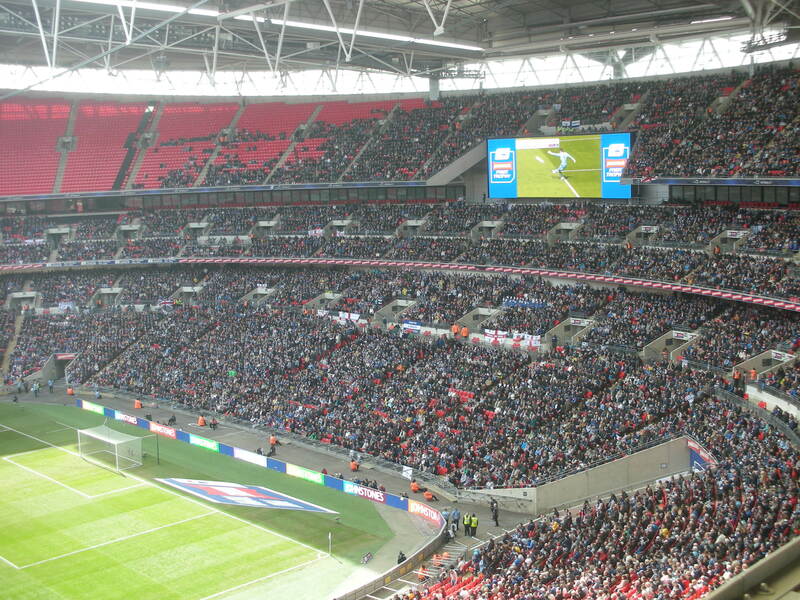 The first resulted in an easy 3-0 win over Brentford in front of a healthy 8,000 plus crowd. However, the visit of Southend United attracted a crowd of only 1,916 which must have looked very odd in vast stadium with a then capacity of 100,000. 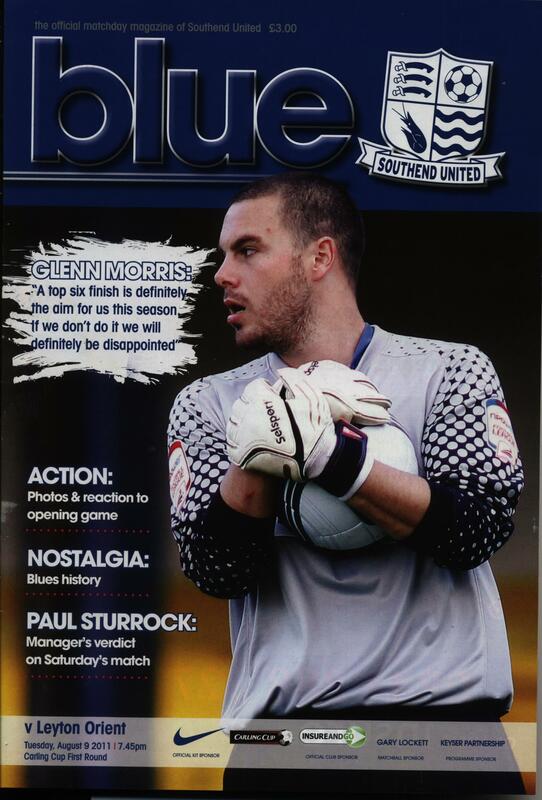 However, the Southend side turned in a distinctly unmemorable performance at the famous stadium. It should be said that Ted Birnie’s team selection was something of an experiment following the FA Cup exit at the hands of Torquay the previous weekend. 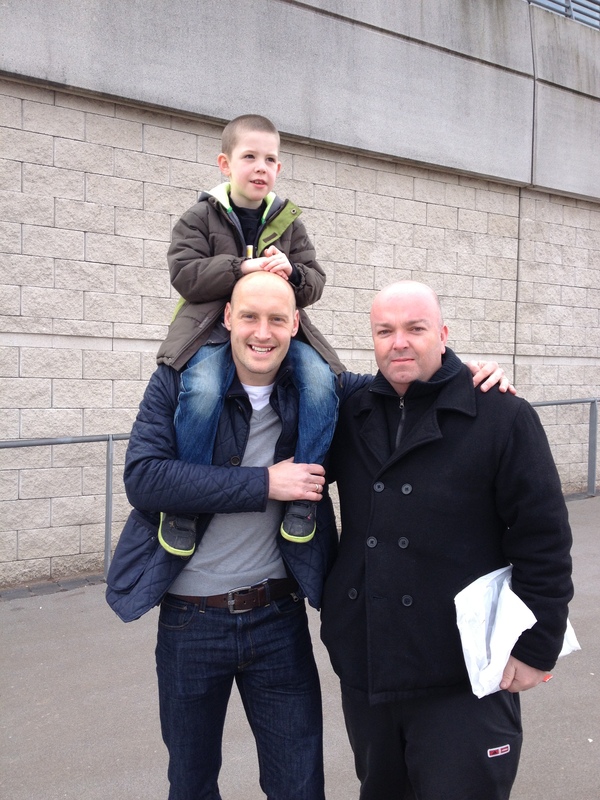 He dramatically dropped skipper Tommy Dixon and brought in young Bob Ward. Furthermore Donovan moved to inside left and Johnson took over at left half. Arthur Compton despite being right footed was seconded to the outside left berth. Clapton Orient’s line up featured Rollo Jack, son of former Southend manager Bob Jack and brother to David, a future Shrimpers manager. Southend had a good first half however and had plenty of chances before scoring in the 25th minute. 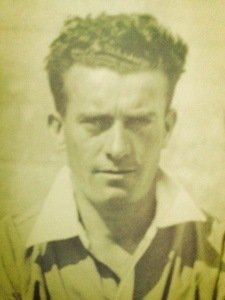 Southend gained a corner kick and Fred Barnett launched a deep kick into the O’s penalty area and Jimmy Shankly’s deft header back allowed Mickey Jones the easiest of chances to nod the ball over the line from close range with Orient keeper Harry Blackwell unsighted among a ruck of player. In the next period of play Shankly skimmed the crossbar twice and Barnett had a powerful shot cannon back of the upright. This was an equaliser following Clapton’s early breakthrough when a rare fumble by Billy Moore in the Southend goal allowed Jack Fowler to open the scoring with a virtually unguarded goal. The veteran forward was a constant thorn in the visitors side with his drive and clever play, a vital factor was Bob Ward’s nervousness in tackling the powerful Orient forward. Into the second half and the Blues nearly took the lead through Dickie Donoven. His first effort was a speculative long range effort which caught Blackwell off guard in the Orient net. He was mightily relieved to see the ball just clear his crossbar. The a Donoven corner slipped out of Blackwell’s hands and was just about to cross the line when Ernie Morley managed to hook the ball to safety. 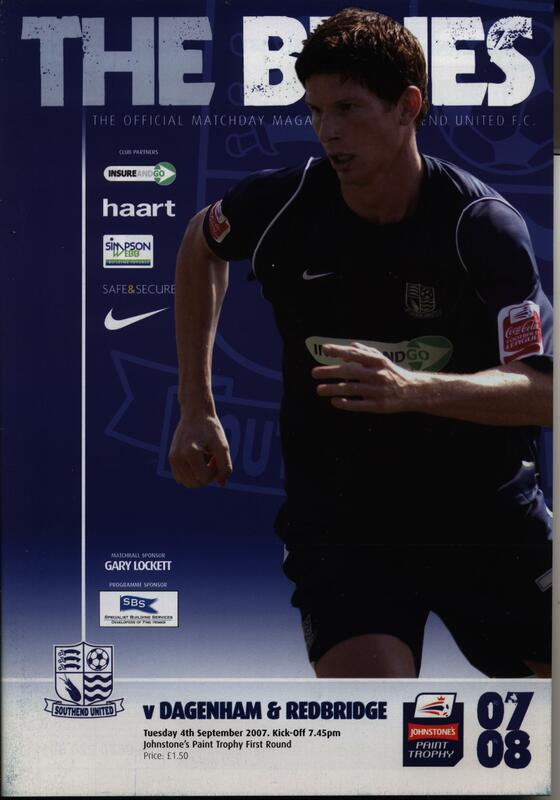 However Southend’s downfall came when Crompton, their best player in the opening period, was strangely neglected in the second half. This meant the side lost its shape and creativity and the home side took control of the encounter. The O’s took the lead on 67 minutes Johnson misjudged a challenge and Reg Tricker easily converted a one on one opportunity against Moore. The winning goal came on 73 minutes and was shrouded in controversy. 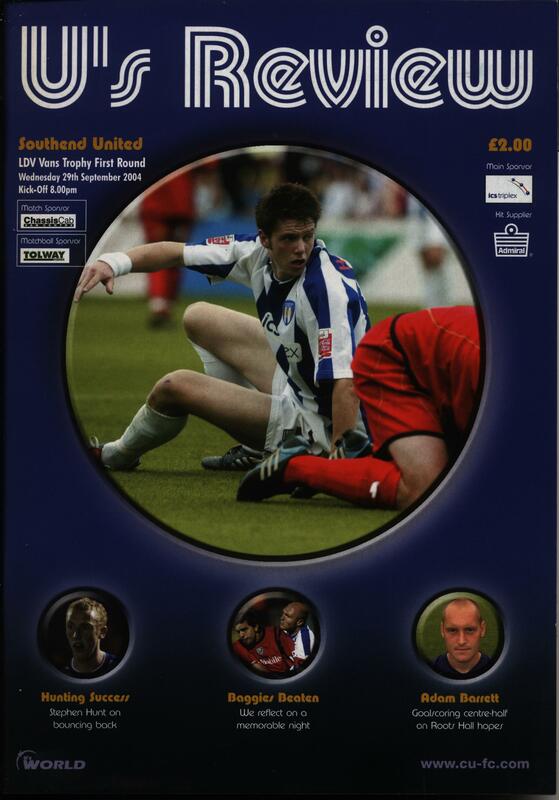 Tricker played a throughball for Fowler who was clearly offside but both the referee and the linesman failed to award the decision and while the Southend rearguard appealed and waited for a whistle Fowler all but walked the ball into an empty net. Shankly had a late chance to reduce the arrears but the side had already suffered a fatal body blow. 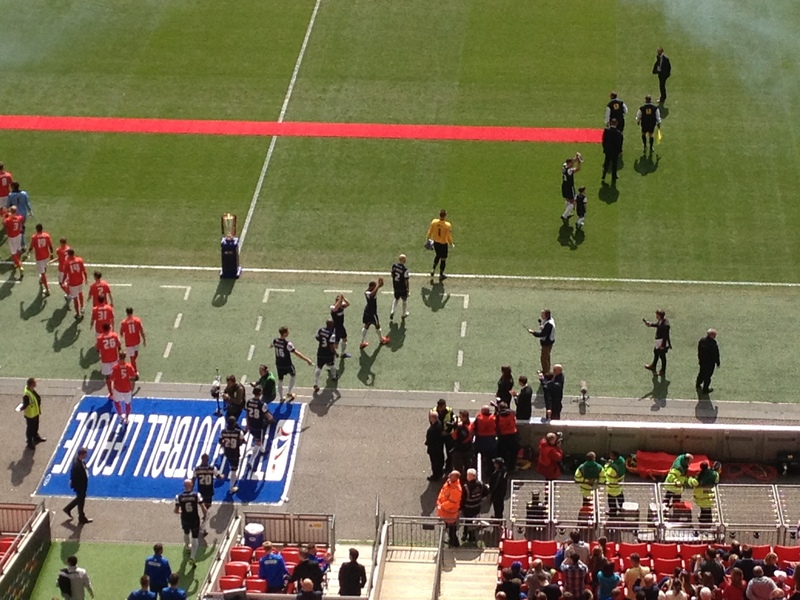 The dubious offside call ensured that the clubs only visit to the old Wembley Stadium would be marked with a defeat. Teams:Clapton Orient:Harry Blackwell; Ernie Morley; Billy Broadbent; Eddie Lawrence; Jack Galbraith; Rollo Jack; Arthur Cropper; Reg Tricker; Jack Fowler; Jack Fletcher. Billy Moore; Jack French; Dave Robinson; Bob Ward; Joe Wilson; Joe Johnson; Fred Barnett; Mickey Jones; Jimmy Shankly; Dickie Donoven; Arthur Crompton.